Robert Bauman: Okay. All right. I guess we're ready to start. Bauman: Okay. Let's start by having you state your name and spell your last name for us. Daniels: Edmon Leo Daniels. D-A-N-I-E-L-S.
Bauman: And my name's Bob Bauman. And today's date is November 20th of 2013. And we're conducting this interview on the campus of Washington State University Tri-Cities. So wondering if we could start by having you just tell us when you arrived in the area here. What brought you here? Daniels: Well, I arrived in '51. 1951. And my parents was here. So the family moved here. Bauman: And did they come for jobs at Hanford, or--? Daniels: They came--my father came in '43 when he heard about the Hanford Project. And my mother joined him in '44. Bauman: And what sorts of jobs did they have at Hanford? Daniels: Well, at that time, it was just construction. And my mother worked in the mess hall and cleaning up the barracks. Bauman: So how old were you in 1951 then, when you came up? Daniels: 1951. You know, that's the deal. I never tell my age. [LAUGHTER] I was in grade school. Bauman: Okay. So, what are your first memories of arriving here as a young person? Daniels: Well, as a young kid, you're just in a new place. And memories are just meeting people. But, I guess it was—there was quite a few relatives here at that time. Just meeting them. Because I really didn't know--I hadn't been around my father that much at a young age. He left when I was just--wasn't that old. And my mother left after that, so. It was just really just being with them more than anything else. Bauman: And so where did you migrate from? Where had you been living before? Daniels: Texas. The eastern part of Texas. Bauman: Okay. And so, your parents were here. And were there other family members as well? Daniels: Well, I had uncles here and some aunts. One aunt, I think, was here. Yes. And cousins. Bauman: Okay. So where did you live and what school did you go to? Daniels: Grade school, I went to Whittier. And went to junior high--it was junior high then, it's middle school now. I went to junior high--that was the only one junior high in Pasco. And one high school at Pasco. And then I had a few classes at CBC. Bauman: Okay. So what was Pasco like, growing up in the area in the '50s and '60s? Bauman: So, in terms of Pasco itself then, you remember any specific or special community events or things happening at the time? Daniels: Well, the only thing we had--and that was probably any place, Pasco, Kennewick, or Richland--was baseball. We had summer baseball. There was no, like we have now, AEU basketball or anything like that. We played baseball in the summer. And my father'd been an old baseball player. He was my first sort of like coach, was my father. So that's what we did during the summer. In the wintertime, we just threw snowballs at each other. [LAUGHTER] Yep. Bauman: With Pasco at the time, was it racially integrated, or? Daniels: Yes it was. It was. We live on the east of town, which is on the east side of the railroad tracks. And, boy, it really wasn't—because all blacks live on the east side of town. But the house we lived in, there was four houses on the street, and we were the only black family on the street. But as a kid, that doesn't bother you because, man, kids are kids. We just had fun. And I was the youngest kid on the block. So, it was just like going down the street and saying hello to everyone, not worrying about color or anything like that. Bauman: What about community institutions like churches? Were there churches in the area growing up, or? Daniels: Yes. There was two churches right around the corner from us. A Baptist church and a Methodist church. And my mother took us to the Methodist church. That was the church I got married in. Oh, I think all my family got married--no, just my brother and I got married in that church. Bauman: And what's the name of the church then? Bauman: Okay. So you grew up then , from 1951 on, in Pasco. And at some point you started working at Hanford? Daniels: Yes. And I was working--well, I was working at--well, I first got an interview for Hanford, oh boy, I think it was like in '62. '61 or '62. At the old 703 Building, as a clerk typist. And everyone then, you had to take a typing test. And it's funny, my grandkids always wonder, what is a typewriter? [LAUGHTER] Yep. So I was supposed to go to work, and then I got called into the service. So I didn't go to work at Hanford until '66. Bauman: Okay. And when you did start in '66, what area were you working with, what sort of jobs? Daniels: 300 Area. 300 Area. I worked in the mail room. The old 3706 Building. Bauman: Oh, okay. And how long did you work there then? Daniels: I worked in the mail room, I think it was maybe--I worked there from '66 to '68. And then I went into the operations department. Bauman: Okay. And where on site did you work in terms of operations? Daniels: Operations, we worked all over. Our main building was 325, but we worked at Two East, Two West, 100 F, all over. And all of the 300s. Bauman: Okay. And what sort of tasks or jobs did you have in the operations department? Daniels: Operations was all the buildings. Taking care of the fans and all of those things. And just making sure the building was temperature-wise okay. Bauman: Okay. And how long did you work in operations? Daniels: I worked in operations for--well, in operations I worked 38 years in operations. But from operations I went into [INAUDIBLE] work. But it was still the same department, just different. Bauman: Okay. And so which contractor or contractors were you working for? Bauman: Okay. So in the work you did at Hanford, did you have to have special safety training of any kind? Daniels: Yes, yes. Lots of safety training. Mask and the PCs, protective clothing and all that. Lots of work with protective clothing. Bauman: So when you say protective clothing, what sorts of things are you talking about? Daniels: Well some jobs, we would go in, we would have to cover up all parts. No skin showing whatsoever. Have two pair of pants, two pair of shoes. Well, not--pair of shoes, rubbers, and then maybe the rubber covers over those. Masks, and the whole works. The rubber gloves. We went into some very hot areas. Bauman: So you have to have a dosimeter or something? Daniels: Yes. A dosimeter. And extra dosimeters also. Bauman: Did you ever have any incidents during that time where you had exposure, or? Daniels: Well mostly--well, you always got some exposure. But I know most of the time that we would be working, if there was four or us or ten of us, we'd have so many RCTs around us that if your badge went off, they would just evacuate the whole area. Well, the room you was working in. And find out exactly what was what. The exposure. And then, you might go back in. Bauman: Okay. And so, was it pretty common for you to--so you did it all over the site, right? Different buildings? Daniels: Yes. Yes. All over the site. Bauman: Okay. Of the work you did, what was the most challenging part of it? Was there some aspect of what you did that was the most challenging, or? Daniels: Well, the most challenging part is when you get completely dressed with everything, and I'm looking at you, and I can't tell who you are or who he is. So we tape our name on our back. And that way, if I needed something from John, I'd see if he'd turn around and I could see. Okay, John, I need this. That was the most challenging thing. And then, confined space area. That's very challenging. It didn't bother me, but some people could not go into a confined space. They'd sort of tear the room up. That happened to one guy. [LAUGHTER] He did tear the room up. But he was--we wasn't even--he was at the whole body counter and they closed the door. And at that time they did not have the TV cameras to watch the people. And all they heard was banging, banging, banging on the door. The guy just went crazy. Claustrophobia. So after that they put the cameras so they could check on the people that was inside. But it never bothered me, but some people couldn't take that at all. Daniels: No. There was bus transportation for us, but we always reported it to 300. And then we would get the van or a truck and go to the other areas. Bauman: And go from there. Bauman: Okay. During your time working out there, were there any sort of incidents or bizarre or strange things that happened? Or something that's sort of memorable that stands out in your mind? Daniels: Boy. Nothing, really. There was things that happened, but it was nothing that so traumatized me that--no, not really, no. Bauman: So in Hanford site, the mission changed at some point, right, from production to clean up. Bauman: It is a good story. [LAUGHTER] How was Hanford as a place to work, overall, as you look back at your time working there? Bauman: And were your parents still working there when you started working? Daniels: No. My father retired right after I started working there. And my mother worked there--I don't know how many years she worked out there. But when they closed the old Hanford down, then there wasn't any jobs for black ladies. So she didn't work there anymore. But my father worked construction there. He always tell me that him and my uncle poured the first mud--concrete--for D Area and the 300 Area, really. So they was sort of pioneers of their time. Bauman: Right. During this time--'50s, '60s--were there civil rights activities going on? Bauman: Was there like a NAACP or other organizations here locally, do you know? Daniels: Yes, there was. NAACP was there. E. M. McGee, he was the president of the NAACP. And he moved next door to us when I was a kid. And then, eventually, he went to work out at Hanford. Daniels: Well, at that time, we went to school together. The only time it was really interracial was when you were in grade school. In grade school, I can remember going to other kids' homes, because, like I said, you're a kid. And we would go in and the parents would fix us peanut butter and jelly sandwiches. And they would be the same thing if they came to my house. As you get older, you started separating. But I still have a couple friends that we have been friends--females—we have been friends over 60 years. And we're still friends. It never--we were just friends. And that's the way I love it about that. It didn't matter that she was white and I was black, we were friends. And we're still friends. Bauman: And how about the Hanford--working at Hanford itself? Daniels: Well, when I started working out there, I think I was the youngest black person out there. I had some cousins working out there. My uncle worked out there. He was an older gentleman, but he worked in the biology department. My uncle had a college degree. But he was working at a job that probably a 15-year-old could do. And, I don't know, but some people say his supervisor didn't even have a high school education. But, my uncle was a school teacher when he was younger. He worked out there, and a couple of my other cousins worked out there. But they didn't get hired until they was older. So they did not get--they may have put in--I don't think my uncle put in 20 years out there at the Hanford project. And my cousins, they put in maybe 22, 23 years. Something like that. Bauman: [LAUGHTER] Did they stay there then, through the rest of the war? In the barracks, do you know? Daniels: Yes. And then they moved, I meant the trailer camp out there. Daniels: And then, my parents, they moved to Pasco. Bauman: Do you know how much money your parents were making at the time, and during the war? Daniels: Well, I looked it up. And this is really weird. Because my father was working in Utah when he heard about the Manhattan Project. And it was $0.90 was--I think was like the lowest wage. $0.90 an hour up to $1.00. And I think they made like $1.00 an hour, which was lots of money. My mother made, I think it was $.050 an hour. So, if my father was at a $1.00, so they made $1.50 an hour. That was lots of money. Because I just visited one of my cousins who is 91 years old. And he said that he was working for $5.00 a week. And a week wasn't Monday, Tuesday, Wednesday, Thursday, Friday—you worked half a day on Saturday. So he wasn't getting $0.50 a day. So you can imagine my parents making that amount of money. Which is—and that's what drew so many people here was the wages. And electricians made I think like $1.25 an hour. Well $1.25 an hour when you think some guys, it takes them all week to make $5.00. [LAUGHTER] And they worked more than eight hours a day. Lots of time, they worked 12 hours a day. And so, money-wise, my parents was probably rich. [LAUGHTER] Yes, indeed. Now--well, at that time I think minimum wage, if you had a job that paid you minimum wage, was $0.25. I think that was passed in 1939. So, $1.00 an hour at that time was quite a lot of money. Daniels: Yes, my mother joined him later. Yes. Bauman: Probably, as you said, making a lot more money than they could have in east Texas. Daniels: Probably making more money than they could have in any place in the U.S. [LAUGHTER] Yep, any place in the U.S.
Bauman: So I asked you about the most challenging part of working out--what was the most rewarding part about working in Hanford for you? Daniels: Well, I think it was one of those deals where you didn't have to worry about next week. You--it was somewhere, like if you got a job, you knew you could have that job would last your lifetime. And that's what it did. I never missed a payday all through my working life. And that's good. That's very good. And you get paid vacations. Holiday pay. [LAUGHTER] You know, I always tell people, I say I never went home tired. Even--we would work, like I said, I worked that whole weekend. I wasn't tired when I went home because I was able to go and sleep until they would call me. So, to have a job like that is very rewarding. Bauman: Mm-hm. You talked about some of the segregation when your parents were there in '40s during the war. By the time you start working there, very different? Daniels: Well, not—it was very different then. But it was still lots to be--because we had--there was no electricians, pipefitters, or anything like that. Like I said, my uncle who had a degree and he was working for someone—my brother said the guy had an eighth grade education. I don't know. But things like that, why, you couldn't get up. And females were the same way. I remember when there wasn't any females in management or anything else. And there was only one—I remember when I started, there was one lady janitor in the 300 Area. And they had rules then—even when I worked in the supermarket—that females didn't get paid the same as the males, because they said they was restricted to how much they could lift. So thank goodness we have come a long ways from that. Bauman: Did you see some changes, then, take place during your time working there? Daniels: Yes, I seen lots of changes take place. One of the biggest changes was Dr. Wiley became—over all of Battelle. And then when the lady came and she became the president. I guess you could call it the president. But they called it the director of Battelle. We had a meeting once of all the people who had worked there 25 years or longer--35 years or longer. And I was there and they had a dinner for us. So the lady came over who was the director. She said, well, Ed. She said, you've been here quite a while. She said, you've probably seen lots of changes. She said, what's the biggest change you've seen? I said, the director's a lady. And she just fell out laughing. [LAUGHTER] She came over later, she said, the director's a lady. All right. [LAUGHTER] I said, yes, I can remember when there wasn't one lady who was exempt, that was monthly. I said, so there's half of the changes that have been out there. Lots of them. I mean, for the females and for the minority workers. Bauman: Is there any aspect of your work at Hanford or living in the Tri-Cities that we haven't talked about yet that you think is important to talk about? Daniels: Well, I tell people from all over--I have relatives all over--and I tell them the best place in the world to live is in the Tri-Cities. And I've been around a few places. And you could buy a house here. Like you go down and you see a house for $250,000. And a house, let's say in parts of California, who is probably as large as this place here. [LAUGHTER] It maybe cost that much money. Me personally, I will never leave here. I will stay here for the rest of my living days. I love to go and visit. But I always tell people, if I'm driving back from California, when I get up on the hill over there and I can see the lights, that's, [SIGH] "I'm home." [LAUGHTER] Yep, it's a beautiful place. Beautiful place. Bauman: --and sharing your experiences. I appreciate it. 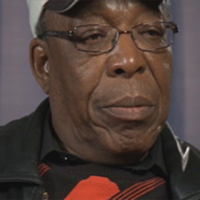 Hanford Oral History Project at Washington State University Tri-Cities, “Interview with Edmon Daniels,” Hanford History Project, accessed April 22, 2019, http://www.hanfordhistory.com/items/show/16.